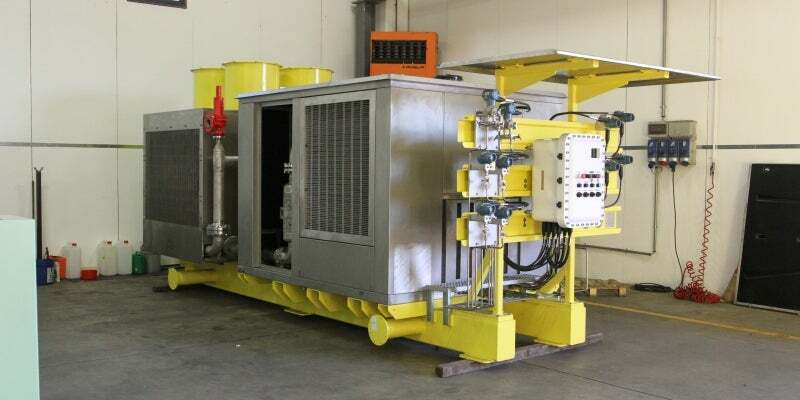 BLUTEK specialises in the design and production of engineered turnkey skids for service air, instrument air and nitrogen generation, both offshore and onshore. BLUTEK’s screw compressors are designed according to the client’s specifications, custom-made for each specific project. Engineered dryers by BLUTEK are configurable for any application and environment. Adbsorption, HOC, membrane, heatless / heated, refrigerated dryers are available. BLUTEK’s skid-mounted nitrogen generation station with compressors, dryers, filtration system and N2 generator is manufactured in compliance with the key international standards suitable for onshore and offshore adverse environments. The layout comprises a skid with base frame and four lifting points, containerised execution with air-conditioning system, or winterisation. The station can be assembled on-board a truck for mobile application. N2 flow capacity ranges from 10m³/min to 3,000m³/min, and N2 purity varies between 95% and 99.9%. A certified ISO 9001: 2008 company, BLUTEK has obtained important qualifications and supplied innovative solutions to oil and gas, and marine industries worldwide. The company’s solutions comply with international and local standards such as API 619, ISO 10440.1 and ISO 10440.2, ATEX, API R14, EN 60034, ASME VIII DIV. 1 and U STAMP, PED. BLUTEK custom-designs skid units using a wide range of components, which can come from stock or special request by the client, supporting them throughout the design process. The company can also design and manufacture otherwise unavailable required components in-house. BLUTEK guarantees the availability of replacement parts for a minimum of ten years from operation and, in most cases, for the entire life of the unit. Based in Italy, BLUTEK has a worldwide network of local offices, agents, distributors and service centres, which support customers from the design to after-sales phases of the project.